Having a good weapon for your next encounter is always a good thing, but so too is being able to draw your weapon with speed and ease. 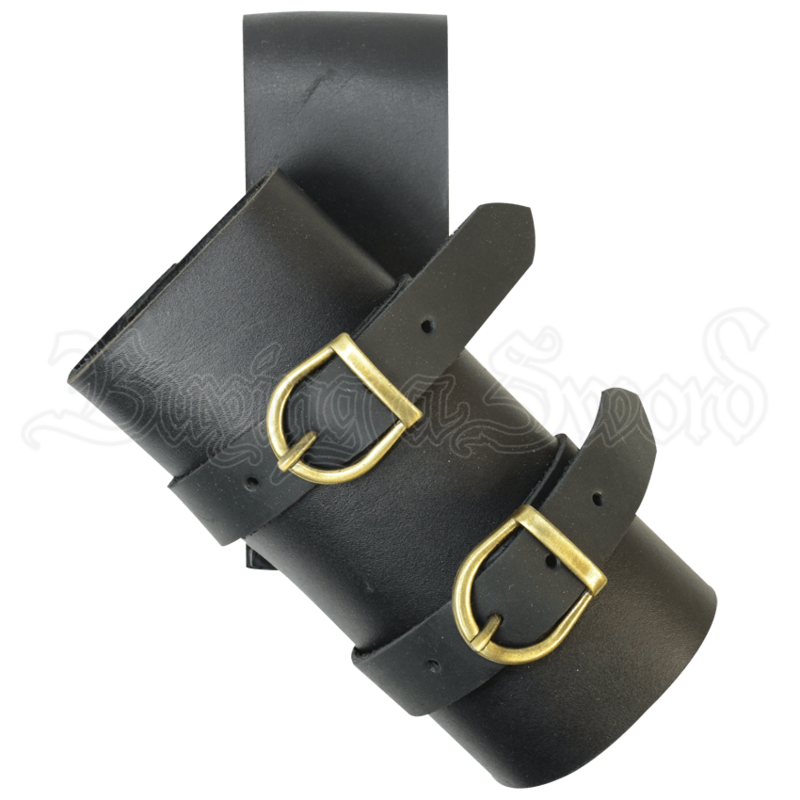 That is where this Buckled Leather Sword Frog comes into play, as it makes carrying your weapon an effortless endeavor. This frog is crafted entirely in high quality leather, and it is made right here in the United States. It features a tube shaped holder that accommodates most weapons with ease so that they can be carried along at your hip and drawn when needed. The frog also sports buckled accents that add appeal to the frog and can be tightened to secure a smaller weapon with ease too. And since it fits most belts up to 3.75 inches wide, you can rest easy in knowing that this Buckled Leather Sword Frog is an accent that you can easily add to your look for your next battle or event.